What ever are you going to wear to the History Department’s annual Halloween party this year? Last year, you went as Henry V; the year before you did a mean Paul Revere. This year it’s time to take it way, way, WAY back to ancient Egypt. We guess you’re serious about taking gold in the costume competition championship, eh? Ever since you took over teaching Ancient Civ you’ve been wondering what your favorite historical era would truly be like. You know what they say: if you want to know how another person lived, you have to walk a mile in his sandals. 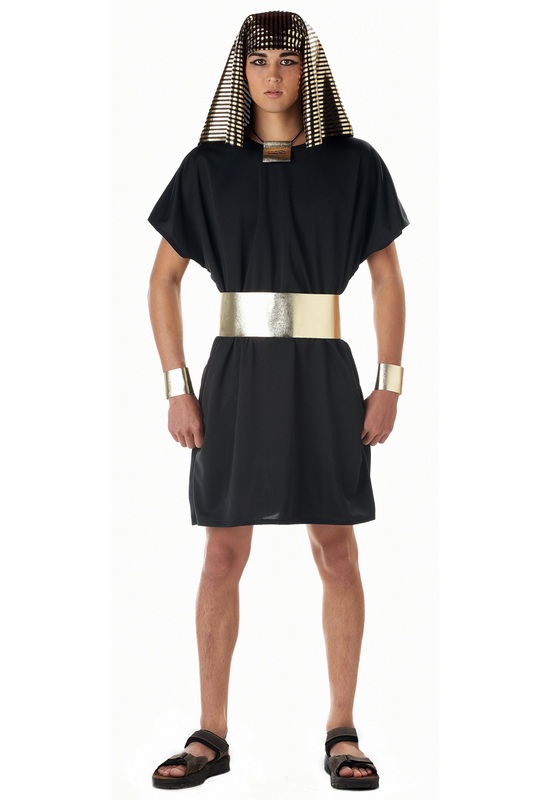 Dressed in this historical Egyptian Pharaoh Costume, you can finally follow in the footsteps of those worshiped as if they were gods! Of course, being a pharaoh isn’t all about looking nifty (though that’s a big part of it). If you are serious about defending your kingdom, you’ll need to consider adding a shield and a spear or bow and arrow set before you mount your chariot and gallop off to the gala! But you don’t care about those commoners; you are a pharaoh for crying out loud! Enjoy the 21st century while you can! You can invite Cleo to be your date and your rise to power will surely be great as you ascend the costume competition throne!